You'll be £10.99 closer to your next £10.00 credit when you purchase Foul Deeds & Suspicious Deaths in & around Southend-on-Sea. What's this? 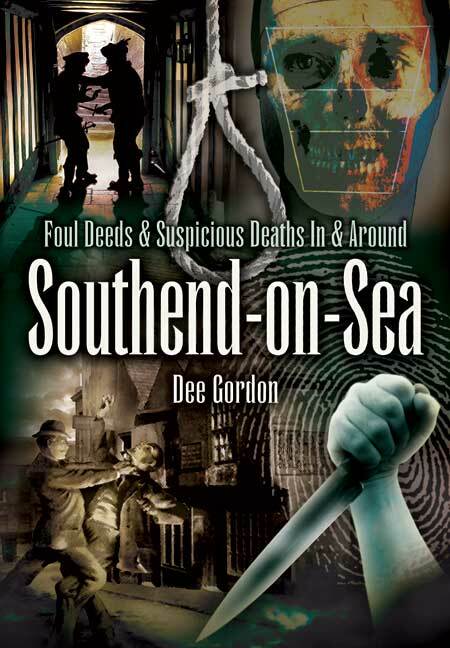 Foul Deeds and Suspicious Deaths In and Around Southend-on-Sea takes the reader on a sinister journey from medieval times to the twentieth century, meeting cut-throats, highwaymen, witches, murderers and suicides along the way. Dee Gordon's chronicle of the dark side of Southend 's long history will be fascinating reading for anyone who is interested in the town's rich but sometimes gruesome past. She has selected over 20 notorious episodes which give a fascinating insight into criminal acts and the criminal mind. In graphic detail she recalls medieval murders at Leigh Quay and Prittlewell and cases involving murderers, witches, smugglers and robbers from the fifteenth to the eighteenth century. But grievous crimes from more recent times feature too - the Murrell fratricide case, the brutal killing of Florence Dennis, the Watson bungalow murder, the Brown wheelchair murder, Shoebury Garrison deaths, and many more. The human dramas Dee Gordon describes are often played out in the most commonplace of circumstances, but others are so odd as to be stranger than fiction. Dee Gordon is an East Ender who has been a Southend resident for nearly thirty years. She started writing in the 1960s, selling many teenage romances (picture stories) to the likes of Romeo, Marilyn, and Mirabelle. However, when she got a “proper” job – in the recruitment industry – she found that the only way to succeed was to focus on the job and let the writing slide. Having had her own successful recruitment business for nearly twenty years meant that, in 2000, she was able to take the opportunity to write pretty much full time – allowing for the demands of her autistic son, that is. Before picking up her pen, the first thing she did was to complete her English Literature degree with the Open University, something that she had wanted to achieve to prove she could write more than training manuals and business plans. So far, her published work encompasses novel (Meat Market – about recruitment, what else – and My Little Brother, My Little Life, due for publication August 2015), a self-published poetry anthology (Bad Girls which was launched at Southend Library as part of their National Year of Reading programme) and twelve local history books including Foul Deeds and Suspicious Deaths in and around Southend-on-Sea for Pen-and-Sword. See www.deegordon-writer.com for more information on Dee, the talks she gives to raise money for Southend Mencap, and, of course, her books.